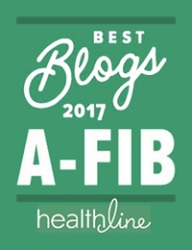 We wish to thank all those A-Fib.com readers who support our mission and this website financially. Donate with PayPal: All donations made by using our orange PayPal “Donate” button (see right column) and through our Facebook page are applied toward the out-of-pocket costs to publish A-Fib.com and keep it on the web (without relying on third-party ad revenues). 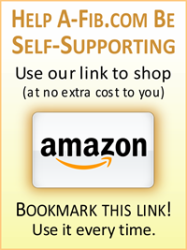 Amazon portal link: We also receive a small commission on sales by readers who use our portal link to shop at Amazon.com. 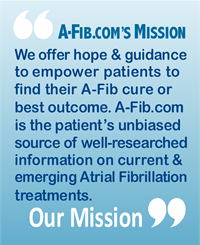 These revenue sources help us continue our ongoing A-Fib.com Mission to empower A-Fib patients as their unbiased source of well-researched information and advice on current and emerging A-Fib treatments. We’re especially grateful for recurring donations. 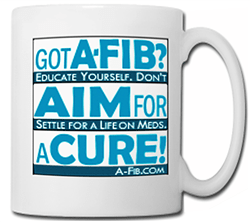 We have received annual donations, and for several months now a generous patron donates to A-Fib.com every month. It’s easy to set up. This is the screen you get when you click on our PayPal DONATE button. When you click on our orange “Donate” button you’ll go to the PayPal page “Donate to A-Fib, Inc”. 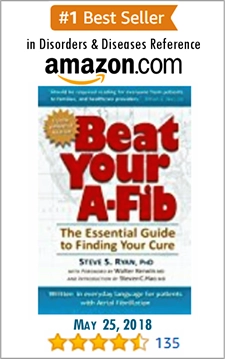 There are many ways you can contribute to A-Fib.com. You can join our support volunteers who offer others hope and encouragement. You can share your A-Fib story to inspire others. Or, write an article about a topic you’re passionate about. (We welcome other ideas too.) 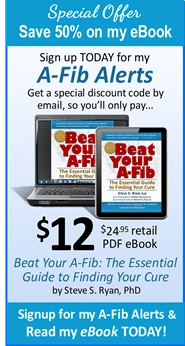 Learn more at Participate at A-Fib.com.